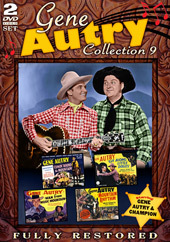 Gene Autry created one of Hollywood's most successful genres—the musical Western. 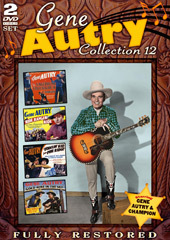 America's Favorite Singing Cowboy graced the silver screen from 1934 until 1953 and in America's living rooms with The Gene Autry Show from 1950 until 1955. 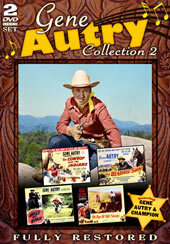 Now you and your family can enjoy these Western classics on DVD—fully restored and uncut—from Gene Autry's personal film and television archives. 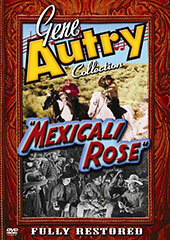 Each DVD is loaded with extras, and the sale of these DVDs will further the educational and cultural mission of the renowned Autry Museum of the American West in Los Angeles. 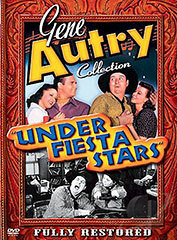 Only authorized and licensed Gene Autry movies and television show DVDs are listed below. 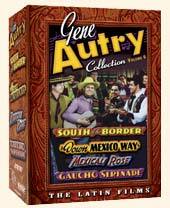 Read the latest Gene Autry DVD news here. Cowhand Gene Autry and his partner, Frog Millhouse, help Arizona cattlemen who are trying to build a dam that will bring water to their parched lands. When pollution from a nearby copper mine poisons hundreds of cattle, Gene Autry, two-fisted ranch foreman, faces a heap of trouble from all sides. In 1878, Gene Autry is a cattle buyer whose supply of steers in Texas dries up due to a feud between homesteaders and cattlemen. 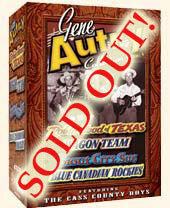 A feud between two rival rodeo companies accelerates when both want Gene Autry, the popular singing cowboy, as a crowd-drawing added attraction. 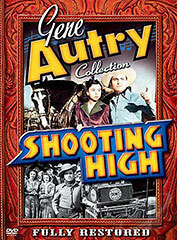 Gene Autry takes over as a two-gun sheriff with Champion as his smartest deputy after bank robbers kill the former sheriff. Movie stunt-double Gene Autry must take the place of temperamental Western star Tom Ford (both roles are played by Gene) at the Texas Centennial. 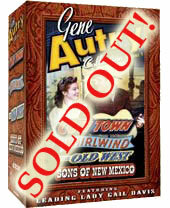 Gene heads South of the Border in his biggest rodeo of thrills with a fiesta of melody and a jamboree of romance all in vivid Cinecolor. 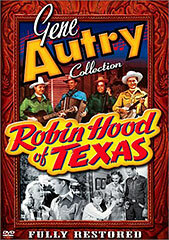 Bank investigator Gene Autry and pal Mike hunt bank robbers Al Bartlett and Trot Lucas. Gene Autry and Champion crash through a maze of murder and mayhem on a dude ranch deep in the heart of the tall timber country. 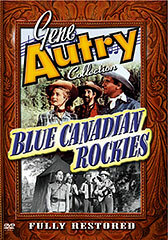 Federal Investigator Gene Autry and his pal, Frog Millhouse, head North to apprehend a gang of fur smugglers who swoop across the Canadian border, plunder the trappers' pelts, and then mysteriously return to the U.S.
A British youngster inherits a ranch so heavily burdened with taxes that only by selling the wild mustangs on the range to the Armed Forces can he keep the property. 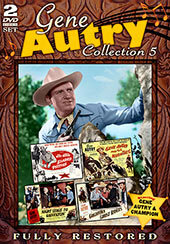 Gene Autry leads a group of cattlemen in rebellion when the crooked agent of the packing company tries to cheat them. Rodeo Cowboys Gene Autry and Frog Millhouse journey South to retrieve a valuable thoroughbred horse which Gene believes he bought. 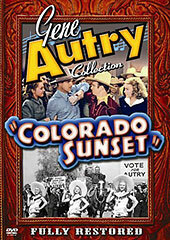 Rancher Gene Autry finds himself in the dairy business when Smiley is conned into buying a cow farm instead of a cattle ranch. Gene Autry is a Pony Express rider in the old west who befriends the lovely Dolores Moreno, whose ranch is about to be sold due to non-payment of taxes. 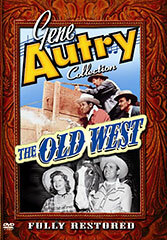 Gene Autry, in order to save his cattle from marauding rustlers and starvation, fences in the open range with barbed wire. Opposed by a crooked trading post owner, Gene Autry tries to help neighboring Navajos suffering from malnutrition. When a young member of the Cattlemen's Association is sent to sell cattle to a packing plant he is soon swindled by professional card sharks. When crooked film producers fleece the citizens of Sage City, Gene and Frog chase the con-men to Mexico. A case of mistaken identity sends Gene and Frog (Smiley Burnette), two down-and-out ex-rodeo stars, on a rip-roaring, cross-country trek as they help a little boy evade the gangsters responsible for the false imprisonment of his father. 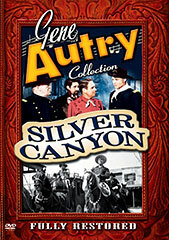 Gene Autry is a fightin' mad Montana marshal on a dead-or-alive manhunt seeking to recover U.S. gold bullion stolen by Canadian renegades who want to overthrow their government. Cowboy Gene Autry strongly opposes local oil drilling fearing it will pollute the drinking water for the ranchers’ cattle. 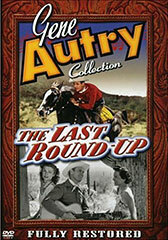 When spoiled Eastern gal Cody inherits a ranch, it is up to the ranch foreman, Gene Autry, to keep things in order. 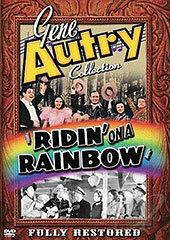 Gene Autry's flying fists and Champion's flying hooves carry the law into a ghost-ridden, fear-crazed gold town. Gene Autry and Frog Millhouse are musical members of a traveling medicine show who land in the midst of a Texas cattle war. 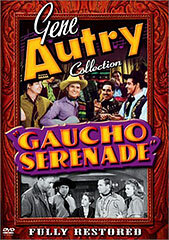 Ranch foreman Gene Autry tames a spoiled teenage shrew sent to Smoke River Dude Ranch for the summer and in the process humanizes her father into becoming a better parent. As a "doctor on horseback," Gene Autry returns to the frontier town where his father was murdered and finds a feud raging between mine owner Jayda McQueen and cattleman Bowie French. Radio star Gene Autry must solve a murder mystery at the Frontier Days pageant that involves Chicago gangsters, a deserted mine, and a surprise ending. 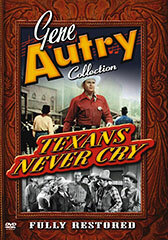 A crooked rancher tries to ship infected cattle to market, framing inspector Gene Autry to cover his tracks. Sergeant Gene Autry, formerly a rancher, pretends to quit the Army to persuade stubborn farmers to sell their land for a military proving ground. Gene Autry discards his conventional cowboy garb and white Stetson for the blue uniform of a sergeant in the post-Civil War Cavalry in this 1950 film. 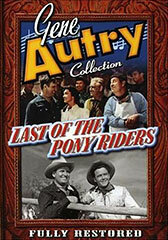 Gene Autry hits the danger trail to crush the badmen out to cripple the Pony Express in his final theatrical release Last of the Pony Riders. 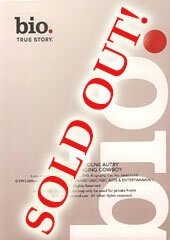 The Last Round-Up is a story of modern times, thundering with all the thrills of the old West. Seeking a mystery man who has killed his best friend in a poker game, Gene Autry finds a wild young cowboy hiding from a posse along with his high-spirited sister. 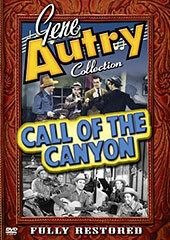 Rancher Gene Autry and his pal Frog Millhouse come to the aid of ranchers and townfolk who are swindled by fake mining promoters into buying parcels of a ghost town with the promise of electricity from the nearby Boulder Dam. Lawlessness runs rampant in Gene's hometown of Torpedo until the movie and radio cowboy returns as Honorary Sheriff for a Frontier Days celebration and cleans up the town. 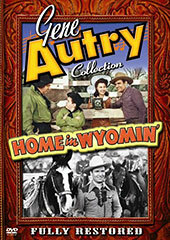 When a gypsy steals his rodeo prize money, Gene Autry and pal, Frog Millhouse, hire on as ranch cooks and Gene is soon attracted to the rancher's daughter, the mischievous Millicent. 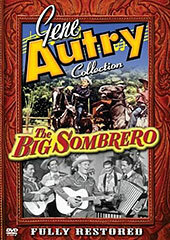 Hired as a radio singer, singing cowboy Gene Autry soon discovers the show's sponsor is a crooked oil company cheating, among others, an orphanage on the Mexican border. Unscrupulous Pueblo Springs Valley resort owners wreak havoc for Frog’s Aunt Mathilda and neighboring ranchers in an effort to scare them off land recently placed for sale by the US Government. Marshal Gene Autry cracks the whip on Western killers as he rides Champion to the stirring rhythm of the great song sensation Mule Train! During the turbulent post-Civil War period, former Texas Rangers Gene Autry and Pat Buttram help a crusading newspaper publisher in his fight to rid the Lone Star State of the crooked police who control the region. An escaped convict knocks out radio star Gene Autry and swaps clothes with him, making the authorities believe that Gene is the criminal. 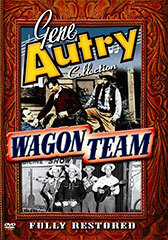 Gene Autry and Frog Millhouse are horse traders who run into trouble when an unscrupulous tractor company starts selling the modern machines to farmers. Nightclub singer Eleanor Spencer flees Chicago after witnessing a murder committed by her boss, gangster Mike Scarlotti. 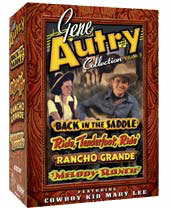 Bronc buster Gene Autry trains wild steeds and then sells them to the Saddle Rock stagecoach line in the Old West. 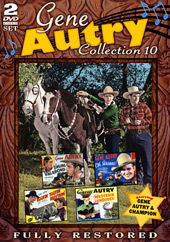 Gene Autry, star of a singing show with the Cass County Boys billed as "Gene Autry and his Texas Rangers," is mistaken for a real Ranger in the tough town of Mountain City. 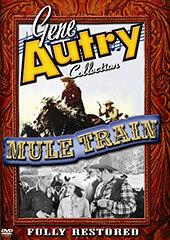 In Pack Train, Gene Autry sets out to aid frontier settlers whose very existence is threatened by a shortage of food and medicine. 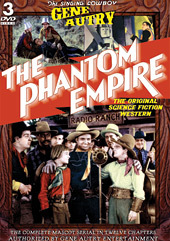 Gene Autry's first starring role on film was in the Science Fiction Western 12-part serial The Phantom Empire in 1935. When Deputy Sheriff Gene Autry agrees to become the guardian of a dying friend's three young sons from Chicago, he soon learns that the boys are a pack of ruffians and not the least bit impressed with cowboys and ranch life. Gene Autry's tried and true crime fighting methods are put to the test when cattle rustlers employ modern technology – including refrigerated trucks, planes and two-way radios – in Public Cowboy No. 1. 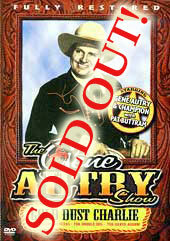 Gene Autry is the foreman of a ranch mortgaged to the hilt with a fast approaching deadline to build a dam. 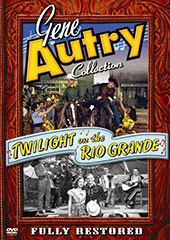 Gene Autry is the ranch foreman for Maureen McClure and must protect her interests when rival ranchers and a gambler attempt to steal the rodeo franchise away from her Silver Saddle Ranch. Former Texas Ranger Gene Autry receives a commission as lieutenant in the U.S. Cavalry and, along with troopers Frog Millhouse and Rufe Jones, reports to Colonel Summeral at Fort Adobe. 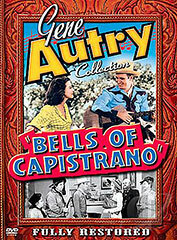 Cowboy Gene Autry inherits the Belmont Packing Company and the management duties that come with it. One of the greatest of cowboy songs since The Last Round-Up and South of the Border launches Gene Autry on his most stirring adventure! Gene Autry is an ex-forest ranger who believes he has accidentally shot the father of attractive Helen Carter, but soon learns that the guilt lies with some unscrupulous men trying to prevent discovery of a destructive tussock moth infestation threatening the timber. Assisting in the search for murderous bank robbers, rancher Gene Autry goes undercover as a showboat entertainer to capture the crooks and recover the money. 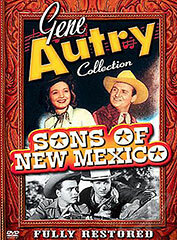 Gene Autry, playing a dual role as his father and himself, is stranded in a ghost town haunted by thieves, who are searching for $30,000 stolen twenty years earlier from Big Tim Hanlon. 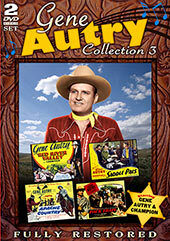 Gene Autry and the Cass County Boys, flat broke and stranded, are unjustly arrested as musical bank bandits. Ranch owner Gene Autry and his pal Frog Millhouse (Smiley Burnette) are after cattle rustlers and become mixed up in a comedy of errors when they don the clothes of two dead outlaws, only to learn that the outlaws are really dead sheriffs, dressed in outlaw's clothes! Rancher Autry takes a job singing on the radio to aid farmers and ranchers whose lands were destroyed by raging floods. Rancher Gene Autry goes to the home of wealthy hypochondriac landowner Waldo Brooks, trying to get rent reductions for all the tenants in the valley. Rangers Gene Autry and Frog Millhouse travel undercover as Western troubadours to find the killer of old, half-blind Frank Martin. Gene Autry, a captain in Hamilton's Rangers in 1827, is sent to investigate the murders of settlers in Michigan's Saginaw Valley wilderness. 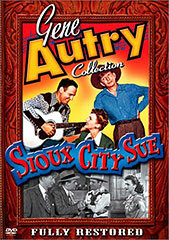 Twentieth Century Fox star Jane Withers was so enamored of Gene Autry that she persuaded the studio to sign the Singing Cowboy as her leading man. When poisonous devil weed threatens cattle, State Inspectors Gene Autry and Frog Millhouse try to help an old-fashioned ranching community opposed to the new modern methods. During the Civil War, U.S. Army scouts Gene Autry and "Cougar" Claggett are detailed by the cavalry to bring in a notorious gang of Confederate guerrilla raiders who are interfering with federal supply lines. When Gene Autry's boss is murdered, Gene becomes the guardian of his little girl. 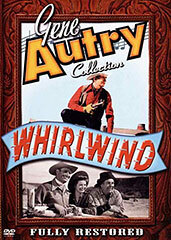 Ranch foreman Gene Autry must take unusual measures to prevent a spoiled society girl from selling her inherited ranch to a ruthless banker and thus causing upset for the neighboring ranchers. In 1860 Captain Tex Autry and the Army Civilian Scouts known as the Singing Plainsmen rescue a wagon train heading to California full of showgirls and one runaway heiress. 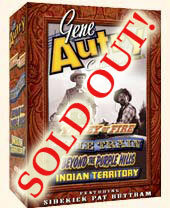 Gene trades in his wings for a pair of spurs in his first movie after returning from World War II. 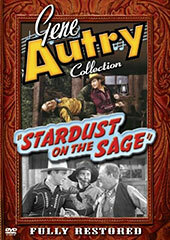 Cattleman Gene Autry becomes the guardian of a wayward boy who is deeply in debt to a gambler. 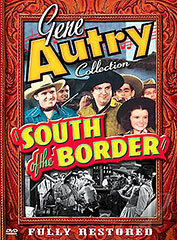 On the eve of World War II, Federal agents Gene Autry and Smiley Burnette are sent South of the Border to help foil the plans of foreign spies attempting to gain control of Mexican oil fields. When cattle-ranch foreman Gene Autry learns that the new ranch owner, Sandra Knight, plans to raise sheep on a "scientific basis," he must convince her to sell them as they will ruin the land. 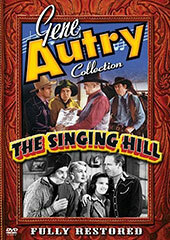 When a young radio commentator fakes Gene Autry's voice on her show telling cattlemen to invest their money in a hydraulic mining venture rather than in cattle, Gene must correct the error of her ways. In Gene Autry's first color picture, Champion stars in the title role as a wild stallion who becomes a legend of the West. Rancher Gene Autry is a conscientious cowboy who must save his valley from flooding caused by a lumber company that is stripping the top of Mount Warner without planting new trees. 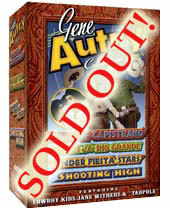 When Texas Ranger Gene Autry saves a family from eviction, he discovers that their money was used to purchase counterfeit Mexican lottery tickets. 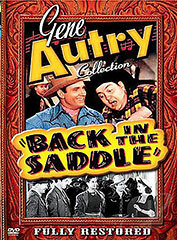 It becomes a race against time when Gene Autry tries to help a young jockey get back on track after an "accident" arranged by an unscrupulous horse trainer ruins his career. 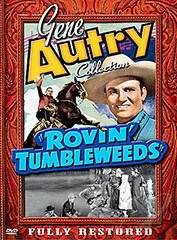 Billed as "a new kind of entertainment with music, thrills and comedy" in 1935, Tumbling Tumbleweeds presented Gene Autry as "radio's silver voice now heard on the talking screen in trills, thrills and spills." 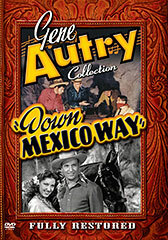 Gene Autry saddles up for Mexico in a fabulous fiesta of flying fists and sparkling songs the way only Gene can swing 'em and sing 'em. Rodeo star Gene Autry and a spirited young city gal jointly inherit a ranch and mine. 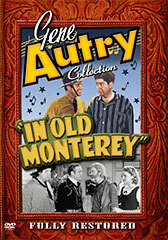 Gene Autry is the newly elected mayor of a lawless California boomtown in 1850. Stagecoach Detective Gene Autry has himself jailed so he can work on the conscience of young Dave Weldon, suspected thief of an Army payroll. 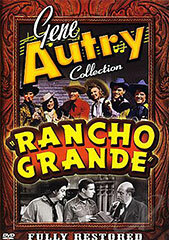 Ranch foreman Gene Autry, with the help of Frog Millhouse (Smiley Burnette), turns the Circle J Ranch into a dude ranch to help an old friend fool his daughter's rich fiancé into believing he is a wealthy rancher. 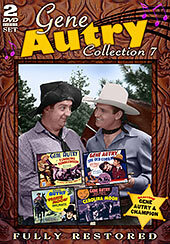 Gene Autry is reunited with his former sidekick Smiley Burnette to blaze a trail of adventure, thrills, and suspense in this 1951 film. Territorial Ranger Gene Autry is ordered to protect crusading publisher John Randolph and printer Smiley Burnette from unscrupulous crooks who are using Indian raids as a cover-up for their bandit activities. 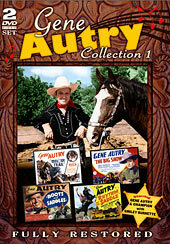 Gene Autry is involved in a feud between cattlemen, who want land for grazing, and turpentine forest folk, who make a hardscrabble living off pine trees, in his hometown in Georgia. 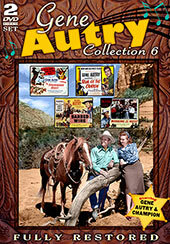 Featuring Cowboy Kids Jane Withers and "Tadpole"
You can also see a full list of Gene's feature films in the Motion Pictures area under the Gene Autry section. 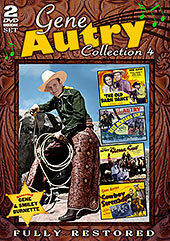 Gene Autry's landmark 1950s television series The Gene Autry Show is now available in one complete DVD collection. 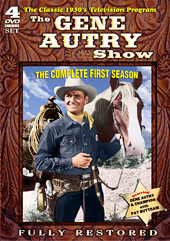 Now, for the first time on DVD, the complete Season One of Gene Autry's landmark Television series The Gene Autry Show is brought home in these fully restored and uncut episodes from Autry's personal film and television archive. 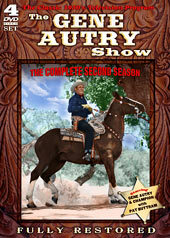 Now, for the first time on DVD, the complete Season Two of Gene Autry's landmark Television series The Gene Autry Show is brought home in these fully restored and uncut episodes from Autry's personal film and television archive. 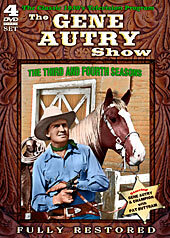 The latest DVD release of The Gene Autry Show from Timeless Media and Flying A Pictures includes both Season Three and Season Four of this classic Western television series. 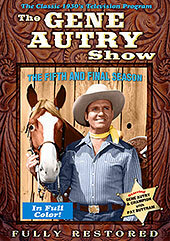 Now, for the first time on DVD, the complete Season Five of Gene Autry's landmark television series The Gene Autry Show is brought home in these fully restored and uncut episodes from Autry's personal film and television archive. 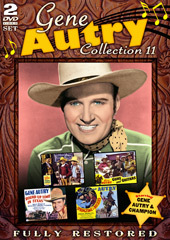 A&E's Biography series takes a look at one of America's best-loved and most versatile celebrities, Gene Autry.